Freelancers Start Your Blog in 4 Easy Steps! A blog is crucial versatile tool every freelancer should have in their tool box. A blog draws traffic to your website, engages followers, provides valuable content to your audience, increases lead generations, and ultimately drives sales. Starting a blog is not difficult, yet many freelancers freeze like a deer in headlights if I ask if they have considered starting a blog, mostly because they simply don’t know how to create their own website. Well freelancers, look no further! Keep reading for 4 easy steps freelancers can take to start their blog today! But first, a little history on blogging and more in depth reasons why you absolutely need a blog today. In 1999 there were 23 blogs on the web because to start you needed to code your own platform. As a result, blogging was not popular or accessible to the general public. Blogging became mainstream in the early 2000s after hosting sites like Wordpress emerged in 2003. 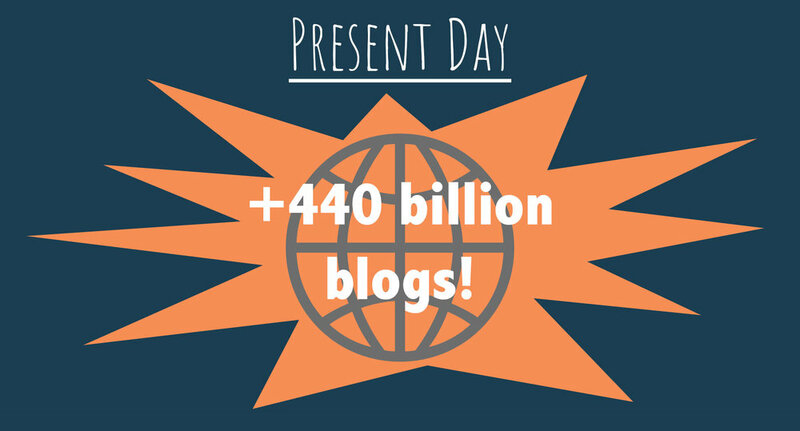 By 2006 there were approximately 35.8 million blogs on the internet. The blogging industry includes 440 million active blogs, with hundreds more created every day. In the 1990s blogging entrepreneurs could make money with AdSense by posting ads and earning a profit from clicks. 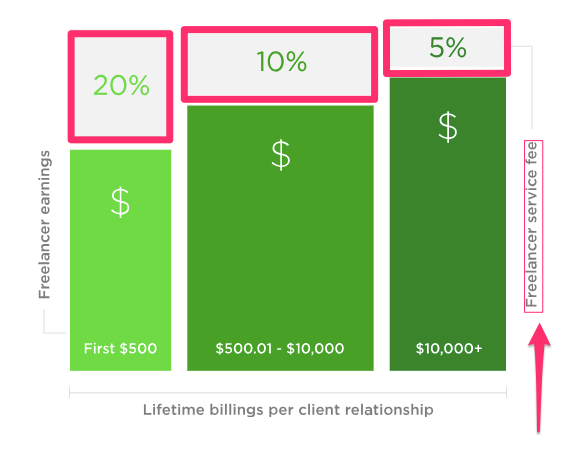 Entrepreneurs still earn money with ads, but easily earn more money through content marketing. Content marketing, "involves the creation and sharing of online material (like a blog) that does not explicitly promote a brand but is intended to stimulate interest in its products or services." Websites with blogs are 13 times more likely to see Return on Investments (ROI). Which means, blogs generate more warm leads and income than direct advertising. Blogs produce so much profit that marketers boosted content production up to 76% this year. These statistics can be easily applied to freelancers. As a freelancer, if you invest your time into developing a blog, creating content, and marketing yourself, then you have 13 times more earning power than if you didn't. Babidele Onibalusi, founder of writersincharge.com, explains that owning your own platform automatically makes you appear confident in what you know. Confidence translates to expertise and people will pay you more if you are perceived as an expert. With most clients online, your blog is a portfolio that coalesces all your work into one place. Freelancers with an online portfolio are 14% more likely to land jobs. Freelance job boards, like Fiverr and Upwork take a cut of your paycheck! Therefore, directly selling your services on your website will pay you bigger bucks in the long run. Not to say Fivver and Upwork aren't great, they are for beginning freelancers. However, landing gigs through your own platform will put more into your pocket. Content marketing is a strategic marketing approach focused on creating and distributing valuable, relevant, and consistent content to attract and retain a very defined audience - and, ultimately, to drive profitable customer action. With the discovery that content marketing generates more sales, its no surprise the industry morphed into a huge $32.1 billion behemoth and is predicted to be worth $412 billion in 2021. Currently 55% of marketers now claim that blog content is their top priority! It should be yours too. Your blog will help build your brand, create loyal followers, attract clients, and increase sales! Your content will attract specific readers. The more you understand your audience - their wants, needs, challenges, frustrations, and goals - the more you can write specific targeted content. When you provide content that your audience enjoys, you create loyalty. Loyal followers are much more likely to engage, buy products, write positive testimonials, and share content. But where do you begin? Follows our 4 beginner steps to create your freelance blog today! In layman's terms, a domain is your website name. Domain names are used rather than IP addresses because names are much easier to remember than numbers. Your domain name establishes your web presence and adds credibility to your business. The right domain name speaks to your craft, brand, and audience. Do not copy large brand names, you will look like a knockoff. A unique name also helps you avoid competition. Your domain name should be easy for your followers to find. One strategy you can use is crafting your name around keywords your audience already search in Google. This strategy falls under a broad umbrella called Search Engine Optimization (SEO). SEO is, "the process of maximizing the number of visitors to a particular website by ensuring that the site appears high on the list of results returned by a search engine." SEO's ultimate goal is for Google to list you on the first 10 search results. Say your blog focuses around coffee. What words are coffee lovers Searching in google? In Neil Patel's article, Branding SEO Hack, he explains how to use Moz to see if your key words are being searched and clicked on. For instance, say you want your domain name to be Coffee Enthusiasts, you need to check if people are searching "Coffee" + "Enthusiasts"
First go to Moz's Keyword Search Explorer and enter in your key words. Moz results will show you how many people are searching (monthly volume), how difficult it will be to rank in google (competition), and how much people are clicking on results with your key words (Click Through Rate or CTR). For "coffee enthusiasts" the monthly volume is low, meaning not many people are searching this key word combo. However, you also see that there is not alot of competition, and the people who do search are clicking through. But you want key words that have a higher monthly volume. Lets search "coffee shop" instead. The results are much better! "Coffee shop" has a high search volume AND low competition score. People are searching for "coffee shop" and it will not be difficult to rank high with these key words. In addition, lots of people actually click on "coffee shop". These are winning key words that you may consider utilizing for your domain name. Once you have your domain name, it's time to see if it is available on a hosting site. Keep reading to learn how! A hosting site offers services that allow you to build a website for the internet. To own your domain name you have to purchase and register it through a hosting site. Wordpress and Squarespace are aimed to help users create sites without web development skills. In other words, coding experience is not required to design your blog. We will do a quick comparison of both sites here and you can find an in-depth infographic on Wordpress vs. Squarespace on our blog too. Though not technically a hosting site, Wordpress is currently responsible for more than 31% of all websites on the internet. It's no coincidence that 75 million users choose Wordpress as their development site - it's very customizable and allows users to optimize 55,286 plugins and coding options to design unique pages. As you can see, Wordpress sites are very inexpensive. Perfect if you want to reduce costs. The only down side to Wordpress's flexibility? Wordpress is not beginner friendly since it requires more coding knowledge than Squarespace. In addition, it does not come with built in ecommerce options, meaning you have to install plugins to sell products. First go to www.wordpress.com/domains. Then enter in the domain name you would like. Wordpress will automatically check if your name is available on the internet for use. We suggests purchasing ".com" names because they are credible and easy to remember. If your name is available you can buy it! If not, Wordpress will say "taken." Squarespace was founded in 2003 by Anthony Casalena in his dorm room. The now popular hosting site did not experience viral growth until 2009. 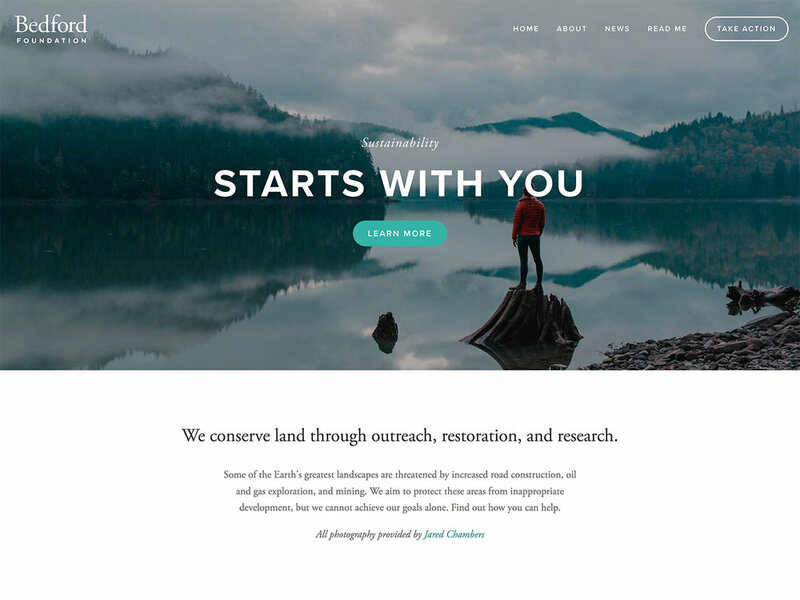 Squarespace's intentionally targeted newbie internet start-ups that needed a minimal but aesthetic web design without coding. The marketing strategy results were more than impressive. In 2017 Squarespace hosted 2 million websites and profited $300 million. The company is now worth $1.7 billion. In addition, Squarespace is known for award winning customer service. The company has two Stevie Awards to prove it. A downside to Squarespace? They are one of the most expensive hosting sites. For basic services you must pay a whopping $12 minimum a month billed annually. Yikes! 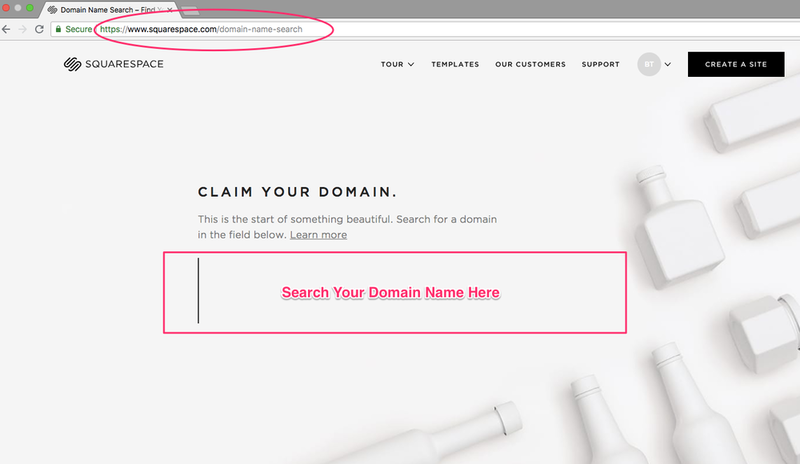 Go to www.squarespace.com/domain-name-search. Enter in the domain name you would like. Squarespace will autocheck if your name is free on the internet. If your name is unavailable then Squarespace will say "unavailable." "Design is not what it looks and feels like. Design is how it works." Apple design's are a huge testament to the $904 billion dollar company who's many users say Apple's convenient and user friendly designs are why they purchase. Just like iPhones, an aesthetic and an easy to navigate layout will make browsing your website an enjoyable experience. Your design also determines how easy customers can read content and buy products, so its worth investing in a well-planned space. Perfect for the photo blogger. Sydney: Rated as the top mobile friendly template. Essential in 2018 because people used the internet on their phones more than computers. Customizr: The name sounds exactly like it is, customizable. Great for using multiple plugins on your page. Galapgos: Perfect for ecommerce sites. A grid layout easily showcases products. Checkout options are easy to navigate. Montauk: Ideal for photo gallerys and portfolios. Big beautiful images are eye catching and trendy. 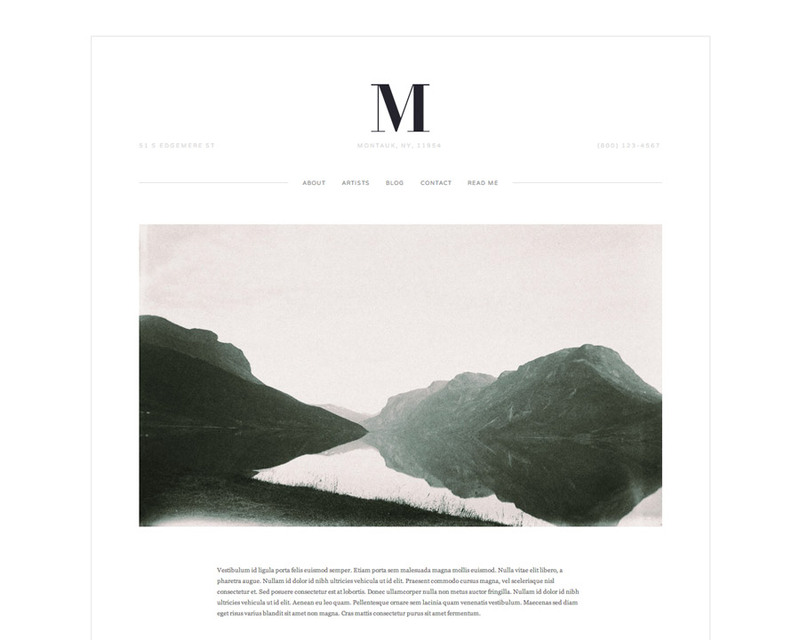 Bedford: Squarespace's most popular template because its great for everything. Business's, freelancers, and artists all rave about Bedford. If web design is not your strength or you lack time consider hiring a freelancer to design your page. Proof: Hire only freelancers with a bio, portfolio, and work history. Compliance: Avoid freelancers that will ghost you mid-project. Read their testimonials. Quality of Work: You can file a dispute if your freelancer submits subpar work. Once you have your blog, now its time to start creating! However, most bloggers agree that this is the hardest step. Even 36% of content marketers say that producing engaging content is the biggest challenge they experience. "almost every one of the millions of blogs that are started in 2018 are destined to fail and die a slow, boring death." Knowing why will help you to beat the stats and create amazing content users will want to read daily! Blogging is like long term investing. Time is your best friend. Amy Lynn Andrews tells her followers that it takes 3-6 months to make a decent part-time income, and 1-2 years to make a consistent full-time income. Most people give up because they do not see quick results but there are ways to make a profit faster from blogging. Do not spend to much time finagling blog details. Remember your blog will change and evolve over time. Set up the basic essentials and create content ASAP. Understanding Your Audience: Step into your reader's shoes. What are their pain points? What do they need? What do they want to learn? Doing Your Research: Link your sources, provide stats and figures, and quote experts in the field. Providing Valuable Solutions: Your content is not about you, its about them! Help your readers find answers to their problems. You don't take blogging serious or don't have the time. Without effort or time your blog looks like a ghost town- no content, readers, or activity. To steadily grow a blog, you must consistently publish. Does this mean you need to publish daily? No, in fact Derek Halpern founder of Social Triggers suggests that you don't. 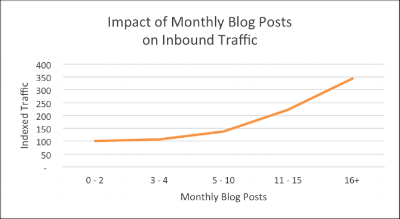 However, blogs that do create 16+ posts a month experience greater traffic and leads. You need to develop skills and habits to put you in a routine of publishing. Look at the infographic below for some ideas. Most bloggers believe they should spend more time on creating content. Though having enough content is crucial to a healthy blog, its not the only focus. Getting eyes on your content as fast as possible is just as important. I've dedicated a whole article on marketing strategies for freelancers but I will do a quick recap of our favorites in step 4. Content marketing is a strategic marketing approach focused on creating and distributing valuable, relevant, and consistent content to attract and retain a very defined audience - and, ultimately, to drive profitable customer action. Big companies understand the value of high-quality engaging content because of its high ROI. Content marketing strategies started when John Deere launched The Furrow in 1895. The explosion only recently happened with the development of magazines, color TV, and the biggest player yet, the internet. By 2001 companies were spending 200 billion on content marketing. In 2009 the average company spent $2.1 million on creating content for their followers. For instance take Marriot, who recently started a campaign to become the largest travel content publisher. Or look at American Express, who've utilized content marketing for the past 100 years to promote their brand and services. If big companies are investing millions of dollars into content marketing, then you should at least invest quality time to promote yourself. These strategies are applicable to every freelancer, are easy to apply today, and proved to work. Update your accounts regularly with new content. Blogging and promoting yourself is hard when you do it by yourself. The good news is there are tons of other bloggers in your niche that would love to help. Reach out to them, engage with their posts, and linked them in articles. Build relationships with influential bloggers in your niche, so when its time to pitch and ask for support they are more willing to help you! Though social media promotion is great, it will not get you far if your following is small. Which is why its important to leverage other blog's readers. Getting your content on blogs with thousands of followers is a surefire way to bring in new readers, gain exposure, backlinks, and expertise. The hardest part is convincing other blogs your content is up to snuff. Right now is an exciting time for bloggers and content creators. With the content markets expansion there will be a greater demand for blogs, content creators, and freelancers. You ideally could write and purchase your domain name, design a simple website, write a blog post, and market it today. Creating a blog is not hard, but maintaining a successful blog is challenging. It takes a lot of time and effort to create content and get your name out there. Remember a blog takes love and nurturing, but is ultimately a long term investment in your life. With the right foundation, content, and marketing strategies the value your blog will provide is endless. What do you think? Do have any additional steps you would to our 4 steps freelancers should take to start their blog?